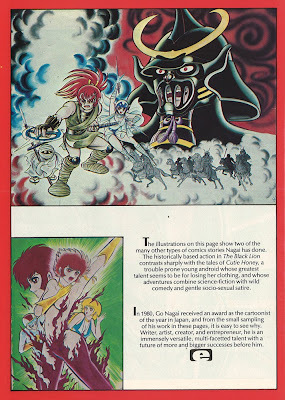 Back to the topic at hand: The year was 1983 and both Heavy Metal and Epic Illustrated (two "adult"-oriented science fiction & fantasy anthologies) had established themselves as a sort of vanguard for manga in america, featuring manga by a few radical artists that was close to the American and European comics filling their pages. 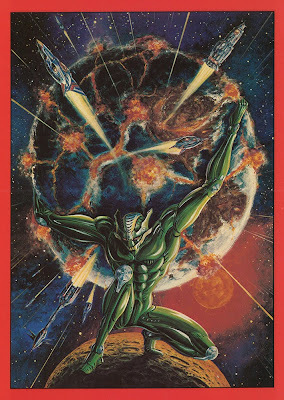 Kaze Shinobu's "Violence Becomes Tranquility" and the art of Hajime Sorayama had been featured in Heavy Metal in 1980, while a profile of work by Shotaro Ishimori and another Shinobu manga ("Heart and Steel") had been featured in 1982. 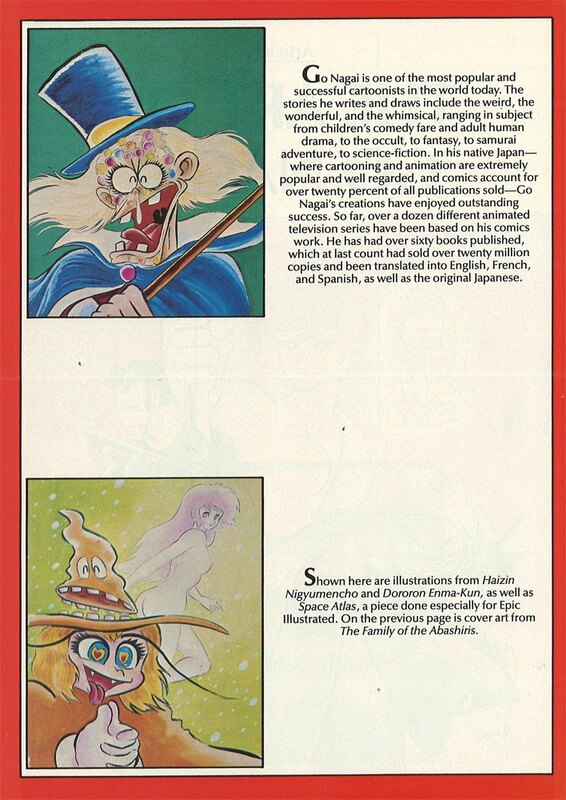 We are longtime fans of Japanese animation and cartooning, and we take every opportunity we can to see and enjoy it. So when Hiromasa Shibazaki, an artists' agent from Tokyo whom we've worked with before, wrote to us, of course we were interested. (Mr. Shibazaki represents, among others, Kaze Shinobu, whose beautiful Heart and Steel appeared in Epic #10.) 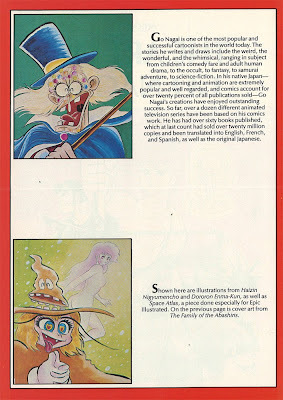 This time, he said, his client was a cartoonist whom we might not have heard of, but who is immensely popular with Japanese audiences, and whose work had also gained some recognition in Europe. 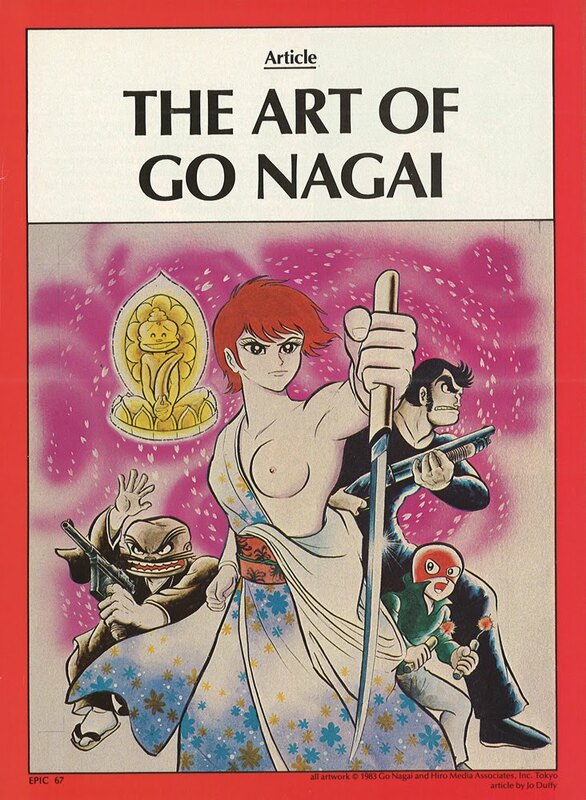 Well, that artist turned out to be none other than Go Nagai, one of our all-time favorites. The week we moved into our new offices last spring, both Hriomasa and Go, along with Miss Sumiko Higo, who was since become Mrs. Nagai, visited us. And somehow, amid the chaos of walls being corked, carpets being laid, and furniture being misrouted, we managed to arrange for the purchase of two pieces. One is a painting, Space Atlas, on page sixty-nine. The other is a story called Oni (which means "demon" in Japanese, by the way.) We think it's one of Go's loveliest pieces ever. It was a struggle to relinquish the pages to the engraver, we've enjoyed having them in the office to admire so much. Pretty awesome, right? 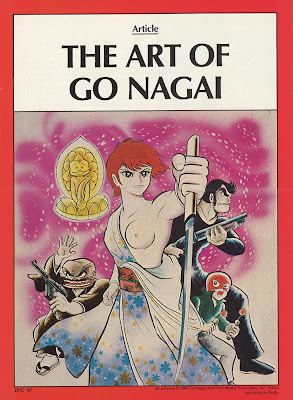 My thoughts are immediately upon this Hiromasa Shibazaki, who seems to have been a key figure among the Japanese artists/agents/publishers of the time for bringing potential artists to the American publishers for consideration. After I post this up I'm going to dig around in some of my books and see if I can find more information on that name. 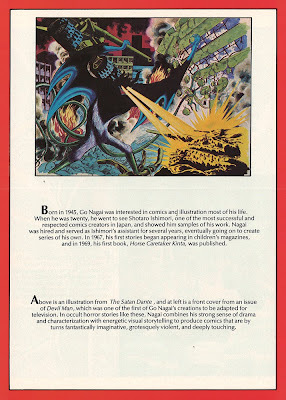 Scanned here for your reading pleasure, is the profile of Go Nagai and a collection of works Epic Illustrated used to introduce him to readers. Interesting to note, at the time of this magazine's publication Go Nagai's seminal work on Devilman, Violence Jack, Mazinger Z and other series had already cemented his mass fame in Japan. 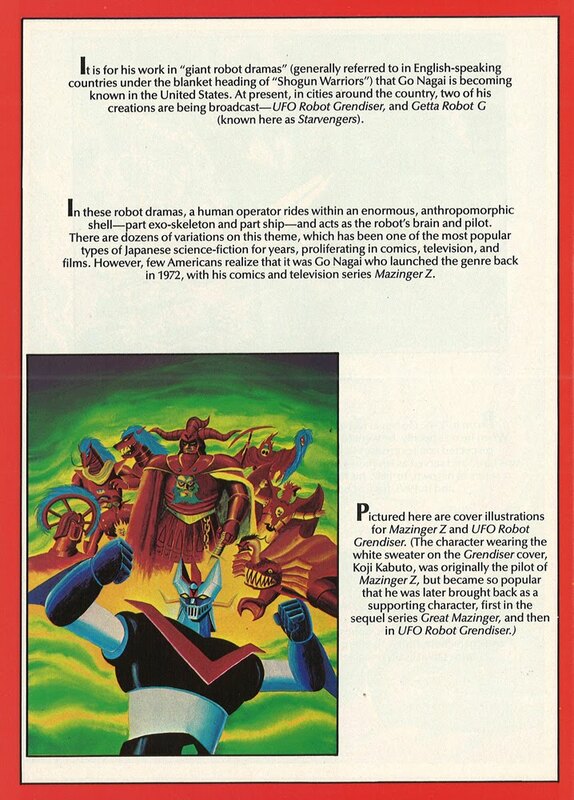 Interesting to note, it appears "Oni" (which I'll be posted tomorrow) was created specifically for Epic, amongst dozens of other ongoing series and one-shots in the 80s. Seeing these in color for the first time is really cool. I just picked up the last few volumes of Susa no Ou yesterday and plan on devouring them on my lunch break. Thanks for posting these!! @voidmare: Oh nice, dude! Happy reading. I've only ever read the (near?) 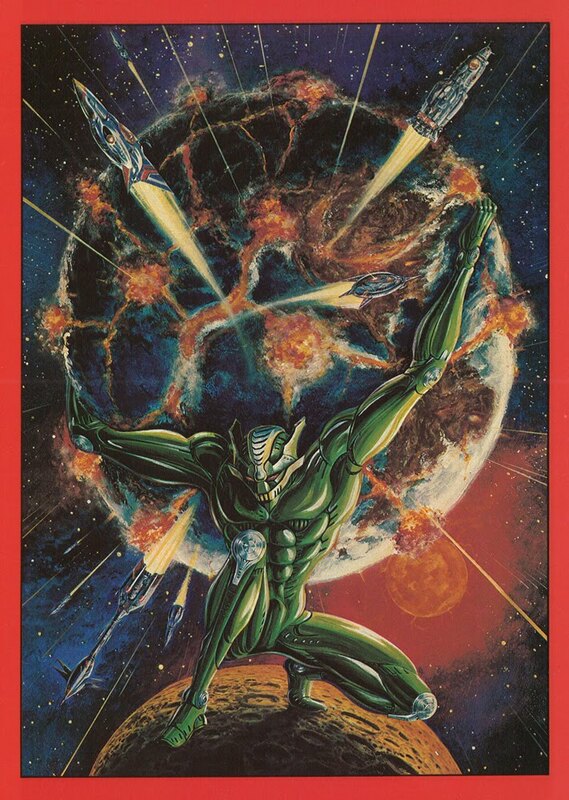 complete Devilman and Violence Jack at this point... so much more Go Nagai science I need to read up on. 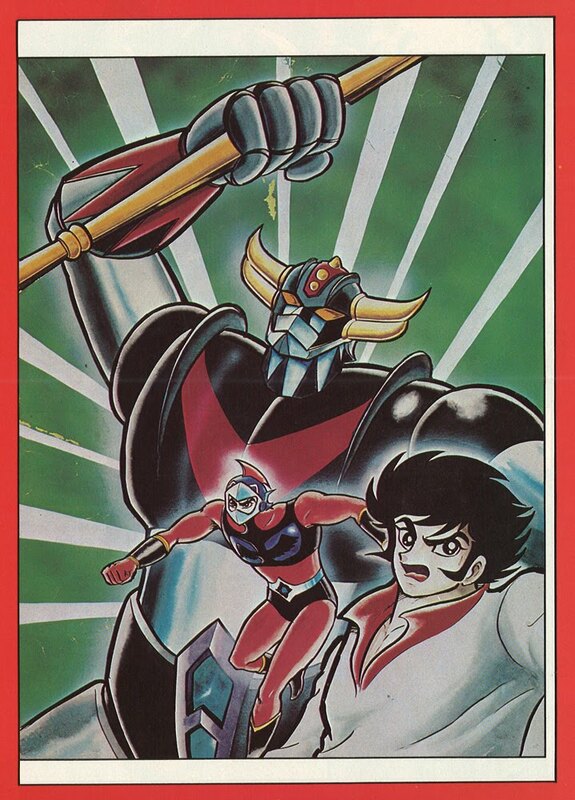 i can’t believe "that" Go Nagai worked in Mazinger Z & Devilman illustrations... for me he was a perfect stranger, until i saw this post... OFC this is a manga delicatessen, yumi!!! Back in the day on a visit to Half Price Books I found a huge box full of old Epic Illustrateds and just blindly reached in and pulled one out to thumb through. And THIS was the one I grabbed! 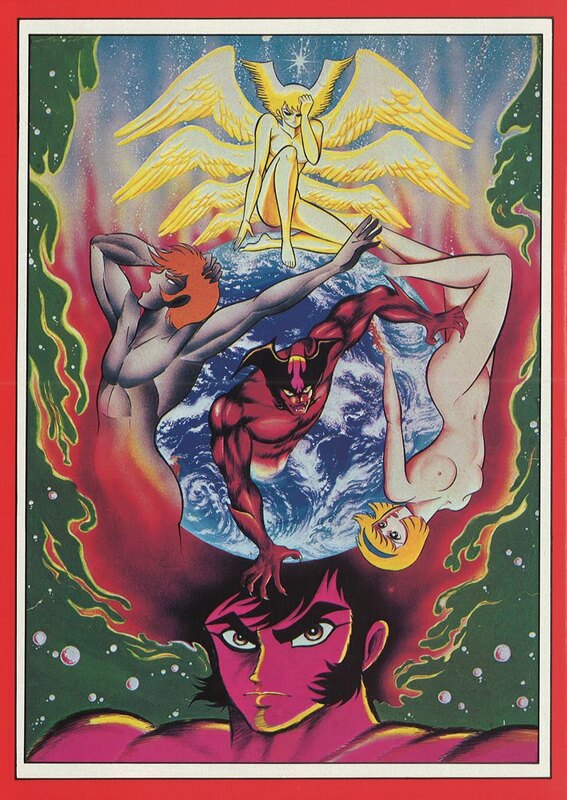 Finding vintage Go Nagai goodness sandwiched in the middle of America's premiere Heavy Metal knock-off was quite a surprise. 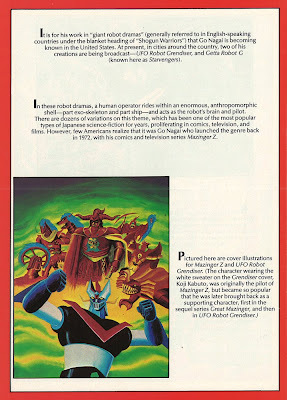 I need to scan that original Mazinger Z GN published by First. 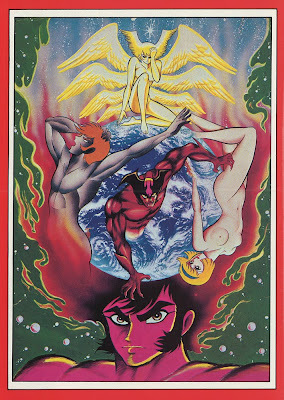 This is really cool, I love Nagai's use of color. 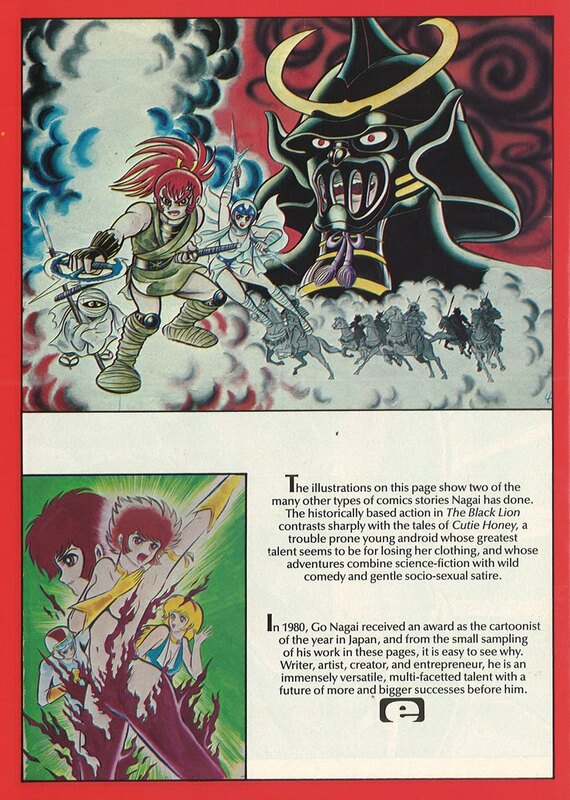 GO NAGAI IN EPIC ILLUSTRATED #18: "ONI"